The General Superintendent of the Assemblies of God, Ghana, Rev. Prof. Paul Frimpong-Manso, has been inducted as the new President of the Ghana Pentecostal and Charismatic Council (GPCC). He takes over from Apostle Prof. Opoku Onyinah, a former Chairman of The Church of Pentecost, following his retirement from the full-time ministry. His induction took place on Sunday, September 30, 2018 at the Roman Ridge Assemblies of God church in Accra. The colourful ceremony was attended by members of the clergy, heads of churches and para-church organisations, as well as some government officials. In a sermon on the theme, “Rebuilding the Tower of Babel” based on Genesis 11:1-9, the outgoing President, Apostle Prof. Opoku Onyinah, charged Christian leaders to challenge the status quo when issues of national interest arise for religious opinion, especially when it comes to an aspect of human rights. He admonished the clergy not to just endorse anything which comes from the government, but confront the issues and not rubber stump it so that the rebuilding of the Tower of Babel will not arise. “Christians must possess the nation with the Christian values and principles and their lifestyle must permeate in every facet of the society,” he said. Apostle Prof. Opoku Onyinah advised the ecumenical community to unite and allow the Holy Spirit to lead them in order to confront the issues of the rebuilding of the Tower of Babel. Rev. Prof. Paul Frimpong–Manso was born on 15th March, 1959. He had his secondary school education at the Osei Tutu Senior High School, where he obtained his GCE ordinary level certificate in 1980. He proceeded to the Southern Ghana Bible College of the Assemblies of God, and obtained a Diploma in Biblical studies (1981-1983). He holds two other diploma in Theology from Mattersey Hall and University of Cambridge, both in the United Kingdom (1989-1992). He also holds a Master of Arts degree from the University of Sheffield, U.K (1998-2001), a certificate in Advanced Leadership Training, Hawaii (2001) and a PhD degree in Theology from University of Wales, U.K (2009-2014). In 2017, he was appointed as professor of Ministry by the Global University (USA). Rev. Professor Frimpong–Manso has been a pastor of the Assemblies of God, Ghana, for over thirty (30) years and has risen through the ranks from a local church pastor to District Pastor, to Regional Superintendent and currently the General Superintendent. As General Superintendent of the Assemblies of God, Ghana, God has used him to reposition the church to become one of the key Christian denominations in the Ghana. Rev. 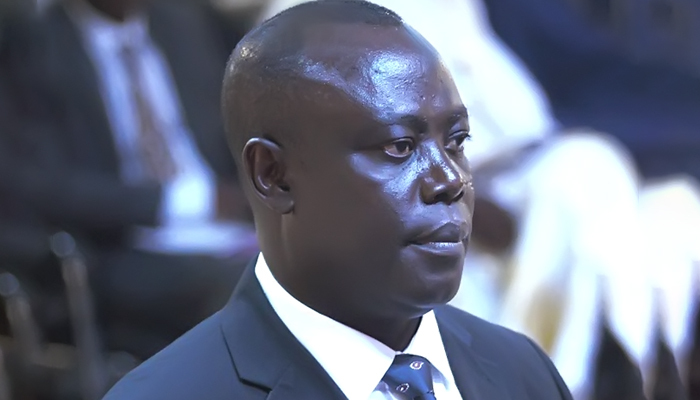 Prof. Frimpong–Manso was instrumental in securing funds for the on-going construction of an ultra-modern Head Office Complex for the Assemblies of God, Ghana, which is expected to be completed in 2019. He was instrumental in the establishment of the vision 3,000 project of the Assemblies of God, Ghana which seeks to plant three thousand (3,000) local churches in Ghana within five years (2015-2019). His passion is mobilising the church to reach the lost in fulfilment of the Great Commission of our Lord Jesus Christ. In terms of public life and corporate governance, Rev. Prof. Frimpong-Manso has over the years served on more than twenty (20) Boards and church Councils, comprising Banking Institutions, Insurance Companies and Churches. Currently, he is a member of the National Executive Council of the Ghana Pentecostal and Charismatic (GPCC) and also the Assistant Secretary to the African Assemblies of God Alliance (AAGA), a continental body of the Assemblies of God in Africa. He also serve as Chairman of the Small Arms and Light Weapons Commission of Ghana. He is a member of the Board of Trustees of the National Cathedral, Ghana. He is an effective communicator, a visionary leader, good listener, team player, pragmatic and proactive. His hobbies include reading, spending time with the family and exercising in the gym.